The casinos of Las Vegas are exceptional, exciting locations. But they can also be crowded, unruly, and sometimes even dangerous. Most people don’t think that they’ll be involved in an accident when they visit the casino, but if they aren’t careful, that’s exactly what could happen. Fortunately, when a person is the victim of injuries while on casino property, the law allows the injured victim to collect compensation for the injuries sustained and certain other damages. A physical injury can result in damages being awarded for medical expenses, pain and suffering, and lost work wages. When the injury is bad enough, certain future damages can also be awarded to cover the cost of future medical expenses as well as to compensate for future lost earnings that result from the long lasting effects of an injury. However, the Nevada statute of limitations on premises liability claims means you’ll need to act right away. If you have been injured in a casino, contact Las Vegas casino injury attorney Maysoun Fletcher as soon as possible after the accident occurs. If you’re injured in a casino, report the incident immediately to the casino’s security staff, but do not sign anything. That’s important enough to repeat; do not sign anything. Casino guests who try to settle their claim and negotiate directly with a casino risk losing some or most of the compensation they deserve. If you sign a settlement before consulting an attorney, the settlement will probably bar you from making a compensation claim in the future. 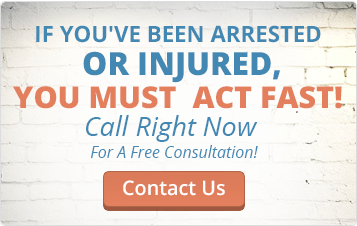 Report the injury, seek medical attention, and then consult with a good personal injury lawyer. Casinos are skilled and experienced at defending against personal injury claims; they’ll use video of your injury and attempt to minimize its severity. If you sustain an injury in a Las Vegas casino, you need a lawyer with extensive litigation experience against casinos and hotels. Casinos, like other business establishments, have a general duty to make sure that the property onto which members of the public are invited is free from threats which could cause injury to an unsuspecting patron. The law of premises liability in Nevada also understands that a single casino may employ hundreds to thousands of employees in order to keep a casino up and running. Even though the conditions which lead to an accident may be the actual fault of an employee, the law still allows the victim to pursue damages from the owner / operator of the casino that employs the employee. This is allowed because of the legal doctrine of “respondeat superior,” which means “let the master answer,” in Latin. Most casinos already know this, which is why members of the casino’s security staff will continuously monitor for safety issues and address them as necessary. Unfortunately, not every threat to safety can be identified in time to reduce or eliminate the threat, or a negligent or reckless employee may allow a safety threat to exist, perhaps under the assumption that another employee would take care of it. No matter the circumstances which give rise to an injury, anyone who is injured while on casino property should speak with the team of attorneys at the Fletcher Firm. The Fletcher Firm is a full service personal injury law firm that can offer counsel in a variety of practice areas, including premises liability, which is the area of law that covers injuries when they occur on another person’s property. The facts of each individual case will determine exactly how damages should be pursued, which is why it is always in the victim’s best legal interests to partner with professional Las Vegas casino injury attorney before moving forward with a claim. An attorney can review the case at hand, ensure that grounds for damages exist, and help the injured victim ensure that his or her rights remain preserved throughout the recovery process. There are many moving parts involved when trying to build a successful case against the owner of property for injuries sustained on the property. Witnesses have to be found and interviewed, documents have to be prepared and submitted in a timely manner, evidence and expert witnesses have to be secured, and more. Without actual experience in the law, these responsibilities can weigh heavily on the victim who tries to recover damages alone, without the help of an experienced Las Vegas casino injury attorney. With more important things to do like heal and recover from the injury, victims of casino injuries are much better off, and will experience much less frustration, if they let the attorney handle the legal aspects of the recovery process. It’s no secret that the odds are always in the casino’s favor, but that only goes for gambling. When a person is injured on casino property, that person has the right to have his or her case heard by an impartial court and to face the casino on a level playing field when it comes time to present the evidence in support of a claim.